I am sooooo glad I bought this device for a couple of reasons! HDMI and several USB port, Multi-language etc. with a screen that i can use this TV Box as a TV with cheaper price. 5 stars for the product and for pipo-store! the functions of a windows operating system that by the way is a full version of windows 10, another awesome buy from pipo-store, 5 stars for the product and for pipo-store! performance wonderful that once i use it, i love it. Beautiful TV Box with the unique design that you can put it any where and it will not take much space. The variety functions make its' performance wonderful that once i use it, i love it. Considering to buy another one with the finest price. It looks cute with a 7.0 inch screen, and the operate speed is quick and smooth that surprised me a lot. In addition, after several months' usage that it without any issue. Considering to buy another one with the finest price. I have compared it with different stores to see which one is better. Its considered service, competitive price and the guaranteed shipping that has attracted me a lot. I am pleased that i have made the correct choice. The vision connect to the TV is clear and vivid. 7.0 inch that the screen is a little small, but it supports connect to TV that the screen is clear and vivid that i often enjoy the movies with my family. Intel Z8350 that the running speed is really amazing and unforgettable. It opens a website in several seconds. Satisfied with it. The best service for you to make the great choice. 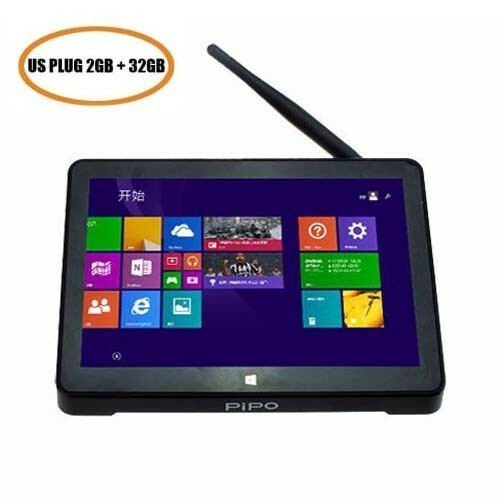 If you’re looking for a great Mini PC, and, you can buy it with the best service i owned, this is a fantastic choice for you. Delivery is a little delay. I checked the delivery everyday that the package has arrived at my address already, but i wait for two days to get it, the others are very good.